The hubby and I are in Worcester, MA on his work travel. The weather back in Atlanta was gloomy and rainy when I left and I was hoping the weather here would be better...but nah, looks like the Rain Gods and the gloomy clouds followed me all the way here. I've been pretty much stuck in my room; its cold outside!! Summer is almost over...ugh..! I love Alfredo sauce...the thick creamy fatty goodness ...ya ya not 'healthy' in the least, but hey, once in a while is ok right? Well it is, atleast according to me :) And if its home-made then its definitely ok! 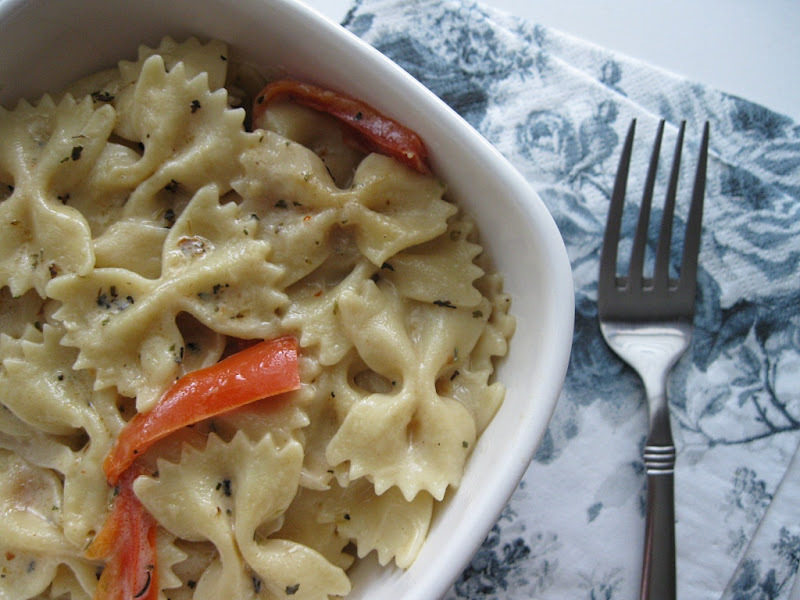 Alfredo is a white sauce typically used in pasta dishes. Traditionally its made using butter, heavy cream and parmesan. In the past I've had major disasters while making Alfredo at home -- too 'floury', too buttery, too thin...but we all learn from our mistakes and this time around I whipped up my own version of the classic Alfredo, and thankfully it turned out right. I left out the Butter and Parmesan, instead added the flour to thicken the sauce and give it some body. Bring a large pot of water to boil. Season with salt and then add the pasta. Cook for 12 minutes or more, depending on how well done you like your pasta. Heat the olive oil in a pan. Add the minced garlic, sliced onions and red bell pepper. Saute till the veggies are soft. Sprinkle the tablespoon of flour over the veggies and cook on low heat for a minute or two, while stirring continuously to prevent the flour from turning too brown or burning. Now add the milk and cream. Stir and continue cooking till the sauce begins to boil. Season with salt and pepper,nutmeg and also add the herbs. Reduce heat and simmer till the sauce reduces and thickens, about 3-4 mins. Add the cooked pasta and toss to coat evenly with the sauce. Turn off heat and serve. I wish I could have some of the pasta now, while I sit and stare at my take out 'lunch'...sigh! 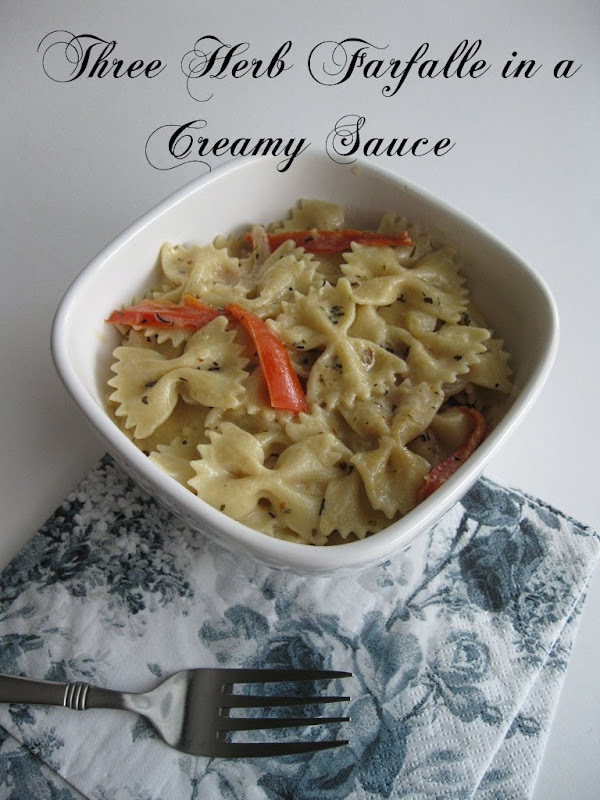 love the creamy feel of alfredo sauce! Oh yes that def ok once in a while..creamy and delicious..slurp! alfredo is my fave too. i never tire of it and love it with ravioli!